Would they have gotten in trouble because of the lining? Not if it was not shown publicly. It had to be hidden in public. 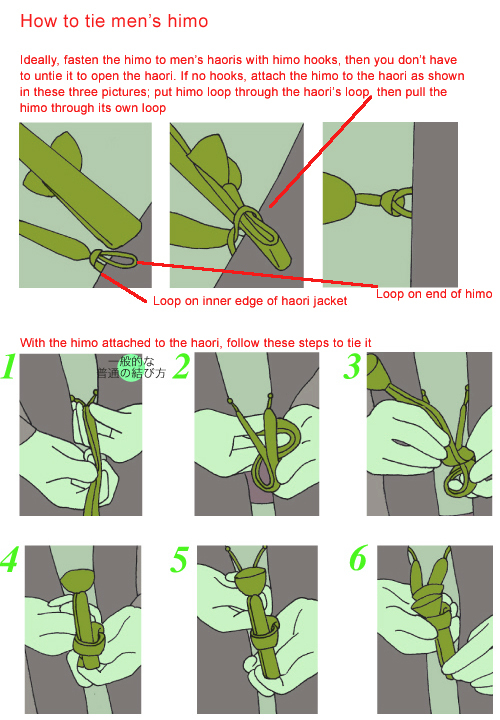 Where might one purchase a new haori jacket – not a used vintage one? Some of the haori on my website are unused, though I couldn’t say offhand which ones they are, it will be in the descriptions but there is no quick and easy way to pick out the few unused from the others. I have no idea where you would buy new ones outside of Japan. I m a french fanatic of wafuku and i ve got a collection of 18 wonderful ancient silk men ahoris with incredible “hidden beauties”. I bought them 25 years ago from a friend who lived in Kyoto and got them from her grandfather. I found your site this morning,and I am excited to read more! I teach history of clothing in a fashion school and my students appreciate to discover these wonderful pieces of art,. I am so glad you like my blog and my wafuku.co.uk website. Japanese is not, however, my culture, I am Scottish and live in Scotland, it is just my passion. I am merely a collector of kimonos and other Japanese things, who has a great love and interest in all things Japanese. My kimono collecting led me to buy way, way, way too many, which is why I became a seller of vintage kimonos and other wafuku and eventually started writing my blog. Thank you for your comments. I am so glad you like the photos. 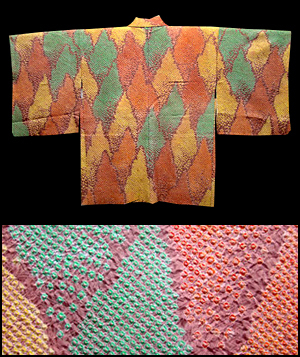 Although everyone knows what a Japanese kimono looks like, surpringly few have ever seen a haori or knew such a thing existed. I only learned of them about 12 years ago. Displaying them flat or on a hanger gives no idea of how they can look on. One can find photos online of them being worn over traditional kimono and obi but it is hard to imagine them with western world clothing, so I hoped my photos helped show that. Hi. I’m new to haori silk jackets. I bought several from a vintage shop last week but I’m wondering how I can tell what they are really worth. Can you help me please? Quite simply, they are worth what anyone is willing to pay for them. There is no single value for haori or kimono. 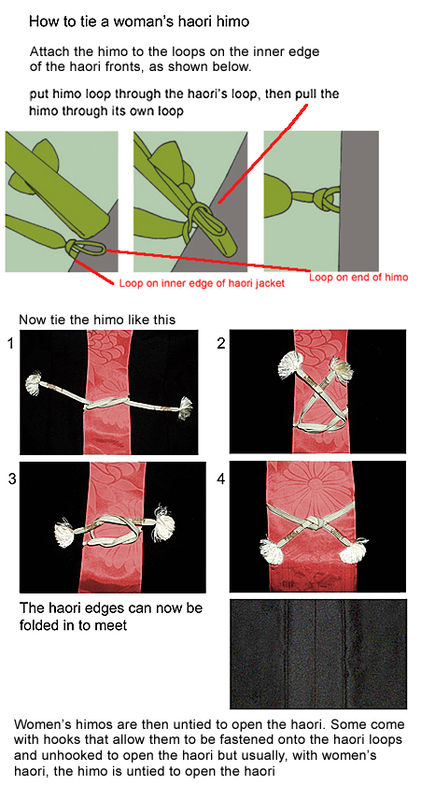 Hello, what is the symbolistic meaning of himo tie ? And what year was the Haori invented? I am not aware of who invented the men’s haori or when it was first worn. I am not sure if it is known at all. When it comes to women wearing them, the haori was originally worn by men only but women were allowed to wear them after the Meiji era and women’s ones became all the rage in Taisho era (1912-1926). Initially, I believe, it was geisha/geiko who started wearing men’s haori and anything they did tended to catch on and become fashionable among all women. They were the trend setters. Thank you so much for your haori post. I received my very first one this week and was curious about what to do with the himo. Your information and examples are much appreciated! I am very glad it was helpful.